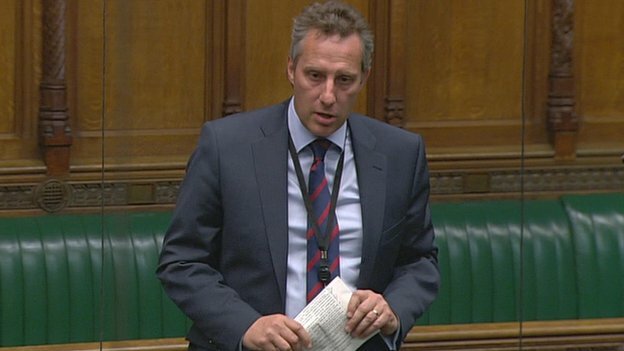 Ian Paisley MP led an Adjournment Debate in parliament this evening with regards to the Michelin Factory Closure in Ballymena. The government Minister responding was the Minister of State for Business, Innovation and Skills, Anna Soubry MP and she agreed with Mr Paisley that had this announcement occurred in other parts of the UK, it would have been a ‘huge story’. The DUP MP made reference to the 1000 jobs that were lost in Ballymena just last year with the JTI Gallaher tobacco factory announcing they would close their doors in 2017. East Antrim MP Sammy Wilson raised the issue of Caterpillar who also announced job losses in Northern Ireland this week whilst South Antrim MP Danny Kinahan asked questions about the energy costs being imposed on Michelin. Quoting a letter from the Stormont Executive’s Department for Enterprise, Trade and Investment from October 2013, the then Minister Arlene Foster confirmed that the Executive had asked HMRC to continue the reduced rate of the Climate Change Levy on gas supplies to Northern Ireland manufacturers but HMRC rejected the request.